A reader once told me that the veil between life and death was so sheer thin, it almost made it impossible to breathe. 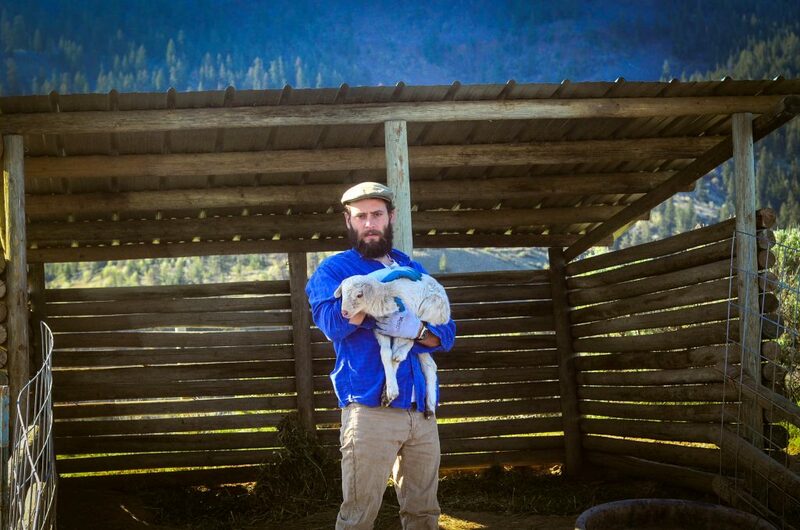 Last night, as I held our dead lamb in my arms, I knew exactly what she meant. My initial response was anger. Anger at the situation, anger that there was nothing I could do to bring him back to life, anger that I was in that position of sadness and loss. Anger at myself that I could have… should have… done something more. As a homesteader, I always feel like there was something more I could have done. My faith in a sovereign and omnipresent God comforted me amongst the anger, like a beacon of light in an otherwise dark existence: somehow, for some reason, the Lord had ordained Pocket’s death. He allowed Pocket to die. To teach me? To challenge me? To stretch me? To sharpen me? To teach me of loss and sorrow so that I could better identify and pray for others? I don’t know. I won’t ever know. But I do know that He promises to work for my good. And somehow, Pocket’s death served in that purpose. It’s not hard for me to recognize the mystery in God’s sovereignty. It’s just hard for me to accept it, at times. As I type this, I can hear an orchestra of peeps coming from the bathroom. I’ve been housing and tending to two dozen heritage chicken eggs over the past 21 days. The night that I found our dead lamb, Pocket, as I came to the bathroom to weep in peace where no one could see that incredibly ugly crying face that I make when I’m really upset, the very first chick made its appearance. At first it was just a teeny tiny little crack in the egg that has been sitting stoically over the past weeks. I stared at the crack from behind tear filled eyes and said a prayer of thanks. Here I was, weeping for my lamb, and new life was springing forward right in front of me. I deemed the lamb more important than a chicken. After all, he had a name. And I’d been waiting for him for over five months! He was to be our meat. A provision. But all life is important in our Lord’s eyes. The wet and helpless chicks peeking from their thick shells were every bit as important as our lamb. And so, with a thankful heart, I was able to celebrate that the circle of life continued. There are moments when I question my sanity. Who would choose to feel this loss? This attachment to animals, just to see them die? At the end of the day, my body is sore from bending over in the garden or milking the cow. My hands are mud-stained and usually smell of barnyard. My cheeks have been tear stained more times than I care to count from hardship and heartache of the farm. As I carried Pocket’s body from his pen, I shouted up at the heavens with rage “I hate this job! I hate farming! It’s too hard!” and I meant it. This lifestyle is hard. And as we all tend to do, I will continue to blame myself. There’s a continual symbiotic relationship between a shepherdess and her sheep that seems to slip so far out of balance with death. I’m not ashamed to admit that I’m not yet over Pocket’s death. He was our first lamb. And for aspiring sheep farmers, that’s a pretty significant marker. But doesn’t it seem all the more significant in death? It’s a grizzling reminder that while we can practice dominion over this earth, we are far from being in control. It’s a reminder of a fallen world that has shifted from it’s once balanced axis. It’s a reminder of sin and just how far that reaches into our earthly lives. It’s a reminder of the reality of death and of that thin veil that just barely separates this existence from another. Homesteaders are tough. We have to be. With each loss, with each lesson, with each death, we learn, mark it up to experience, pull our collars up towards the wind, and press on. « Beeswax Extravaganza Giveaway from MightyNest! So sad to hear of your loss. I wish I had words to comfort but I dont. I prayed for you. Days later, we also had chicks hatching from our incubator, so it was a turmoil of emotions, sadness, frustration and discouragement, mixed with the joy and wonder of new life…. Thank you for that wonderful post. Just a little over a month ago, our beloved, our favorite duck, Gonzo, was killed by our beagles. He lived on the wild side though and would run up and pick at the dogs behind their fenced area when they howled. His picking on them caused his death. I have to admit that I cried some. We decided to incubate his women’s eggs to raise some of his offspring and just yesterday we had 13 of his babies hatch. We still mourn our Gonzo’s death but we are full of joy and happiness to be raising his offspring. It’s hard to watch babies die. And you are quite right to turn to God. Our faith is tested by suffering, crisis and death. The most beautiful moments in my life have been in the barn – but so have some of the most tragic. The most desperate and earnest prayers of my life have been on my knees in the barn while tending a sick or injured animal, and not in church. When an animal in our care dies there’s always a sense of self-blame, whether or not it is merited. If you stick to it (homesteading or small garden farming), there’s bound to be more sorrow and pointless losses down the road. But the truth about farming is that the joys far outnumber the grief and disappointments. Your faith in God’s wisdom and providence will see you through all the hard times. To my way of thinking, faith in God is the secret to small farm life. Without it I don’t know how other people manage. I shed a few tears over the loss of your sweet lamb. 🙁 I am so sorry for your loss! Animal deaths are so hard. I don’t understand in my heart on a larger scale …. I mean, we’ve had lots of family pets die, and that was always hard. We just began to dip our toe in the homesteading journey. We have 10 chickens. Our ladies just began laying this month, and we thought we’d get a few more biddies. As I’m blow drying my hair getting ready for church Sunday morning, my middle boy runs in to tell me he found a sleeping chicken who wouldn’t wake up. Our month old biddies had contracted a disease and after finding the dead one, my husband put her sister down. The kids were not just a little upset. My husband said “it was much more difficult to put down a baby”. We grieved last night. This morning, we had two new layers produce eggs. The cycle of life God spins is something of a mystery to me. I’m thankful for His comfort in those times as well. (Although my kids now believe the chickens are with my grandparents in heaven). So sorry for your loss. 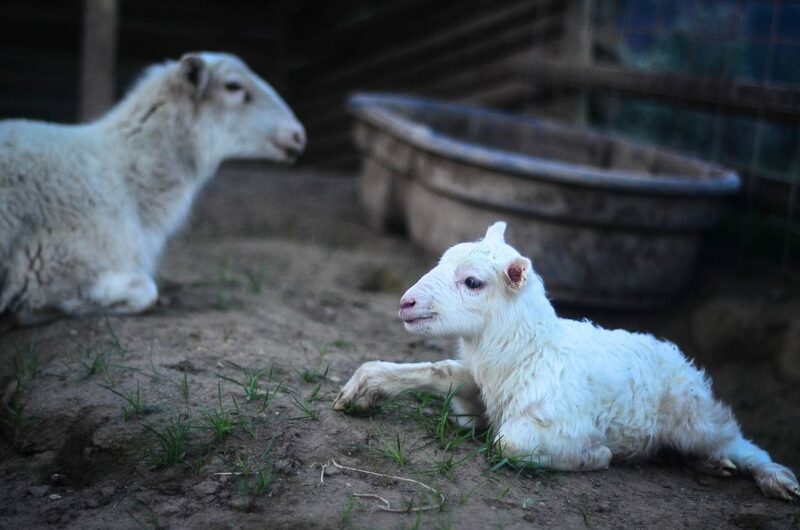 We used to raise goats, and it was always so hard to lose the little ones, the ones you tried so hard to save. It did, at times, feel predestined. This is a hard life, but so rewarding on other days. I am trying hard to remind myself of that at this precise moment. I lost five of my hens to my nephew’s dog yesterday. It is such an awful feeling, especially today when I went on my “hunt” for eggs, with some places now barren. I hold out hope, though, as I have two hens setting on 24 eggs. It is such a roller coaster. We had our first goat kicking this Jan. and Feb. Sadly we lost a sweet little girl Caityln. she was a month old when we lost her and it was so hard. We bottle fed, syringe fed, etc. But sadly it didn’t help. It is tough being a homesteader, but really I wouldn’t want any other life! Sorry for your loss, but look around and see all the beautiful life still around you and remember what a blessing that is amongst the sadness! Sadly we lost three of our chicks this spring. It was so sad to lose them because we fall in love with our girls. They not only provide us with eggs but we consider them pets as well. They all had names. I know some people think it’s just a chick but I don’t and I have to admit I shed some tears. But since, we’ve managed to keep our remaining two whole and healthy and have added two more. So far so good and we have received immeasurable joy from them already. God is so good to us and I am thankful for the blessing of our four little girls. I just recently found your blog, and I’m so thankful that I did! It is wonderful! I love that you don’t shy away from difficult topics, and this is definitely one. I am so sorry to hear of the loss of your animal. That is never an easy thing. Thank you for sharing your heart. It really resonated with me…. I really needed to read this today. As a fledgling homesteader, I’m learning as I go and making mistakes. I bought two milk goats in poor condition with uncertainty in my heart. I made the decision to buy them based on their wonderful personalities. I felt like they deserved better care than what they were getting, but I was concerned about the condition of their udders. Unfortunately, they’ve struggled non stop with mastitis. I finally made the decision to sell them, after having them treated by a vet, because I didn’t feel like I had the right knowledge to successfully prevent this from happening every time they have kids. It broke my heart to let them go and I’ve been questioning if I can do this farming thing. Reading this tonight has helped heal my heart a little and given me a new perspective on why this has happened. Like you, I may never know why, but I know God is in control and He holds my sorrows in His heart and has His hand on my shoulder through tough times. I’m so sorry for your loss. The death of our animals never gets easy. Sorry to hear about Pocket. He was so cute. I don’t know anything about raising farm animals. From your blog it sounds like homesteading is a lot of work and pain. It can be very rewarding, but it also has its trials. Remember God is always there; He will get you through this. I pray He gives you the strength to do the job He has called you to do. God bless! I have screamed those exact words….many times. And yet, here I am, still living the life. Always in the back of my mind, I am awaiting those inevitable deaths but the miracles of life keep springing forward and keep me going toward another day, another season, and another year. I wouldn’t trade this life for any other. I’m so very sorry for your loss and so very thankful for your blessings. Best wishes for more to come! Very sad but thank you for being courageous enough to write about it. In death we learn to cherish life even more. Do you know why Pocket died? I’m so sorry. We lost a few baby goats this year, but five lived, and are jumping from rock to rock in their pen. The pain at the pit of my heart is fading, but I still remember it well. We go out and do our chores in town and go to work carrying this with us, and it is hard to have a friend to understand the loss of an animal in our care that we love, but we try to stay brave and deal with it best we can. I do understand, and feel your pain. But what happened to him? How did he die? I hate to be the one to ask but I’m so curious, we are looking into getting meat animals and bred dogs for a bit so I am interested. Just makes me think of the message in the Bible – precious in the sight of the Lord is the death of His saints. Might be encouraging for you to contemplate that truth and assimilate it as you tend your flock. Strength as you grow! God bless your endeavors! Sorry to hear about your little lamb. We just moved in September to 36acres. I was there two days and my dog killed one of the barn kittens. Just heart breaking. We have lost a few more over the last few months. But I am thinking that no matter how long I live on my homestead death will always be something I just cant get used to. Thank you for sharing this post. I am encouraged and inspired by your writing as you said we live in a fallen world and God has given us dominion yet in many ways it is out of our control. We have been homesteading on a very small scale, seen many baby bunnies die & our first chicken died a few weeks ago. It is difficult but we must press on. Thankful to be a part of this and to know we’re not alone. My boyfriend and I have been homesteading one year. Your blog has been a great resource for a lot of the things we are getting started – like pigs in particular – and I like your accessible writing style. We are raising Nigerian Dwarf goats. My two does had their first batch of kids in March. Out of seven born, we only had five survive. It was a tough lesson in raising animals – and it came just when I was starting to feel like I knew what I was doing. I blogged about it here for my friends and family. Since then, I’ve had to talk myself through several severe episodes of self-doubt. There is a lot of responsibility in raising and caring for animals, even when their ultimate destination is to be your family dinner. And losing animals makes you question whether you are right for the job. But what I’ve realized is that this is exactly what is missing in our modern meat production. We need more people who beat themselves up over the loss of every individual “livestock” animal in their care. Then after you beat yourself up enough, you have to forgive yourself because the very fact that you care so much is what makes you the right person for the job. I am sorry for your loss, but I really appreciate you sharing it with us so we can learn too. Thank you for your words. They help give me the courage to carry on. Years ago, we had to put down our entire flock because our daughter’s first registered ewe had a lamb that developed scrapie. So, over 20 ewes were put down that sad spring day. That was well before we sheep producers and scientists learned more about the disease. We still raise sheep having lambed @ 50 babies in March and raising @41. 13 of those little suckers spent their first 10 days in my kitchen in super large totes and it was way too cold at the barn! We are raising 10 of those. All are being weaned this weekend. 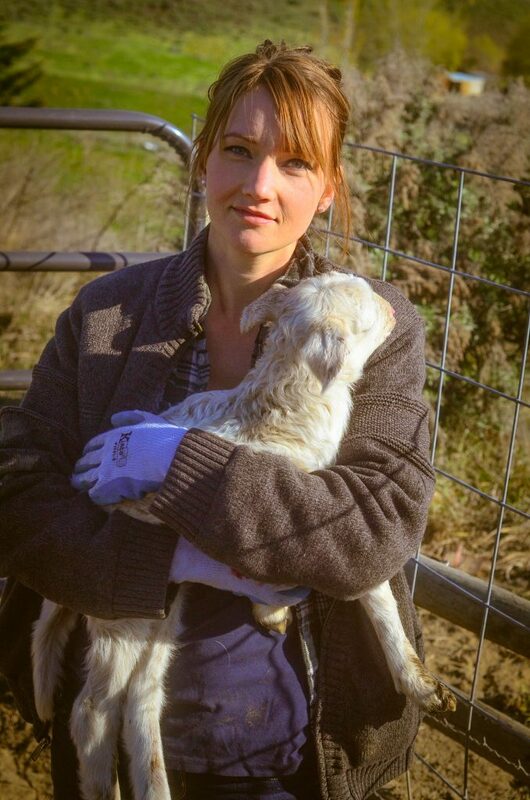 Seeing babies die is never easy, but raising sheep has been a wonderful learning experience for our children. They each had their own breed and showed sheep through 4-H. We still have one of those flocks. Doesn’t help, but things will get better as you gain more experience. I feel your pain and frustration. I am sad for your loss. Being “hobby” farmers we have experienced a little of what you have – grief when even one of our chickens die. I was so comforted to read of your faith in our Sovereign God – who can fathom His ways? We have experienced a lot of grief in our little corner of the world, too. I don’t know how people keep going who don’t have faith. Thank you for your post in your time of sadness. I’m so sorry for your loss. I have stood in your shoes and I understand your pain over losing your first lamb. You have expressed these feelings so well and probably naming him made it even harder. Out of almost 80 lambs born this year, I try hard not to name them as if it’s a curse. I even lost a few sweet souls myself and I kick myself every time. Learn and carry on. We do the best we can with what we have. Be strong. I’m curious like Joanna and if the animal was brought on to the farm as “food” will it still be used or should have been for food? My husband came home and said, “Pocket died.” We share your grief. I’m so sorry. God created us not only to have dominion over His creatures, but also to love them. You are doing good work. Beautifully expressed. Praying for you as you handle this loss. Thank you for sharing this. I agree that this is beautifully expressed. It is difficult at times, homesteading. I shed a tear or two when our entire flock of chickens was ravaged by predators. Some of them we watched hatch. They were ‘only’ chickens, some might say, but they were more than that to us. Again, thank you. Oh my Shaye – I totally understand where you are right now – I had my first lambs last year and lost a set of twins and this year, we had one premature bottle baby who was hand-raised in our house, in my children’s old playpen – only to find him dead in the pasture at just about 1 month old!!! My daughter and I cried and cried after all the emotional investment we made to keep him alive! 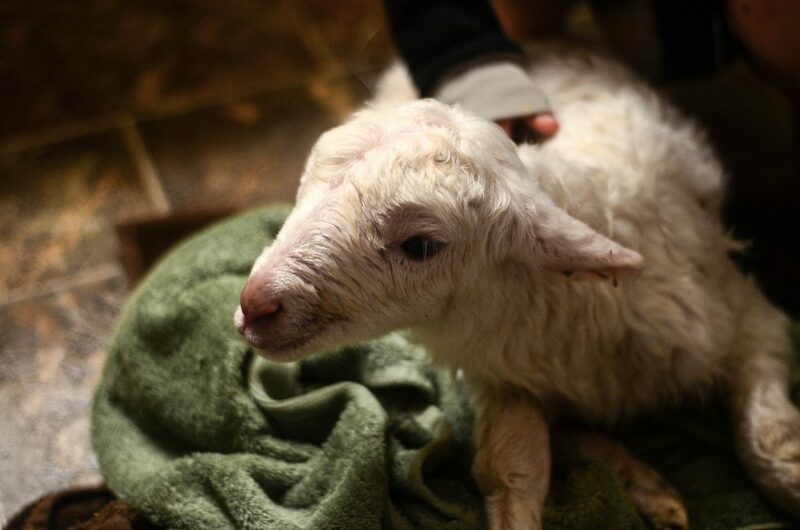 Even though he was a little ram lamb and wouldn’t be one we kept – it was still hard to lose him! But, God works in mysterious ways – our little premie Indy (we went with NASCAR names this year, and that was short for Indy 500) went to be one of God’s precious lambs on Easter Sunday! So, I KNOW he is much better off! I so enjoy reading your blog – you make it so personal and heartfelt! We know you truly love what you do! So glad I stumbled across your blog and your post. Although our story had a happy ending we had a similar experience thus last week as we almost lost our puppy. I, too, took comfort on that bad night in a sovereign God. So many people don’t want to believe that God allows bad things to happen, but it is such a blessed comfort to me to know that nothing touches me or my family that doesn’t go through Him first. I actually wrote a post about that yesterday. I can soooo relate to this post! We had horrible blizzard-like conditions last year at Christmastime and lost one of my favorite Goat does in the middle of it. After a huge effort to save her, we had to be the ones to make the choice to take her. After that, I was ready to give it all up. It was just too hard. There have been many days where I’ve looked at the sky, thrown my hands up and quit farming, thinking to myself that I should have just stayed in the city and lived a “normal” life of shopping trips and pedicures. Two hours later I’m back out there caring for everyone else and planning the next project, but the heartbreak of each loss still stings and makes us more aware of what to do during the next crisis.